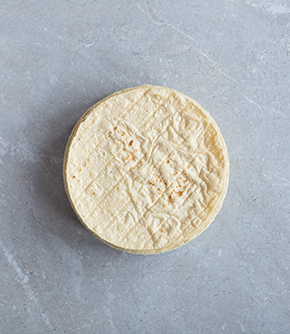 Made with white corn, our 20cm corn tortillas are big and great to make oversized antojitos such squash blossom quesadillas or even rolled to make gluten-free burritas*, when a little older fry for flautas, totopos or tlayudas. These 20cm size tortillas are perfect when big means better. There are approximately 25 x 20cm tortillas to a kilo. *Burrita alert! Because corn does not have gluten it is more fragile than wheat, so must be rolled instead of folded. It is also best to reheat the tortilla before rolling and then shallow fry once rolled on all sides until crisp.